Large zipper top bag great for all of your magical stuff! Two pockets on the outside and inside keep everything organized. Structural stays keep it in shape. 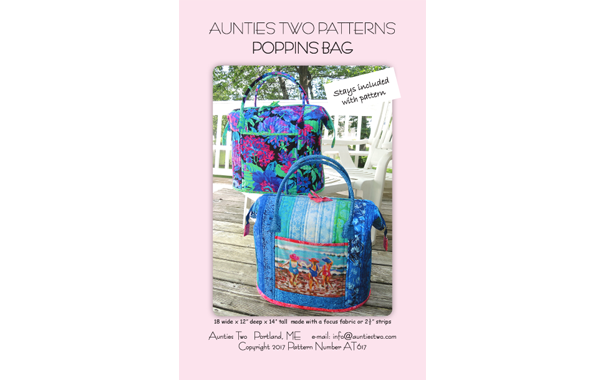 Use a focus fabric and channel stitch the body of the bag OR stitch and flip 2 1/2" strips.